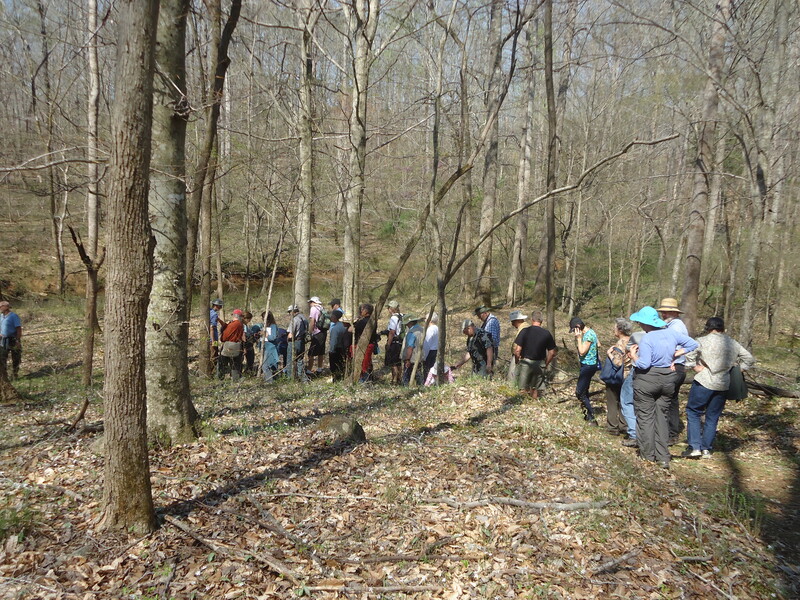 Join us on Saturday March 24th, for a hike in the woods surrounding Moorefields, to see the traces of roadbeds from times gone by. This year, we will hike to the nearby site of the original Harvey’s Chapel and its cemetery, a small African-American church which was near a ford on Seven Mile Creek. Our leader will be Tom Magnuson, of the Trading Path Association. The TPA is a non-profit located in Hillsborough. Its purpose is to find, map, and protect landscape remnants of the contact and colonial era in southeastern North America, on England’s first American frontier.